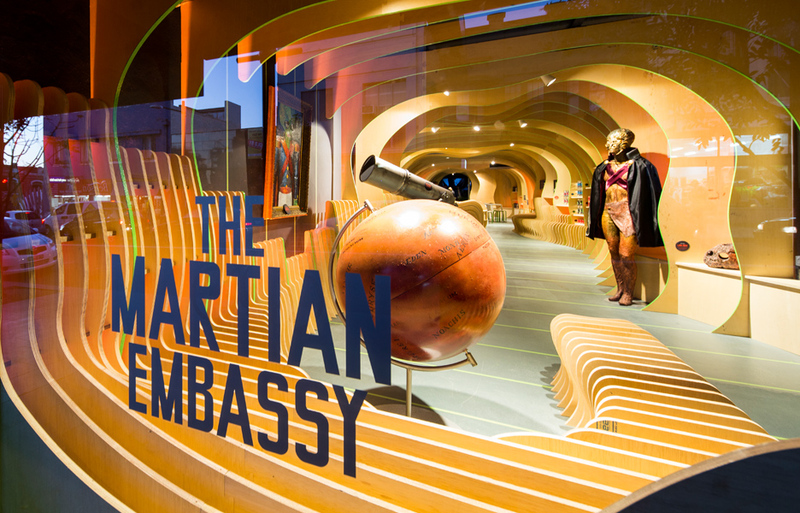 Minds are encouraged to wander at the Martian Embassy, a writing centre for marginalised youth. 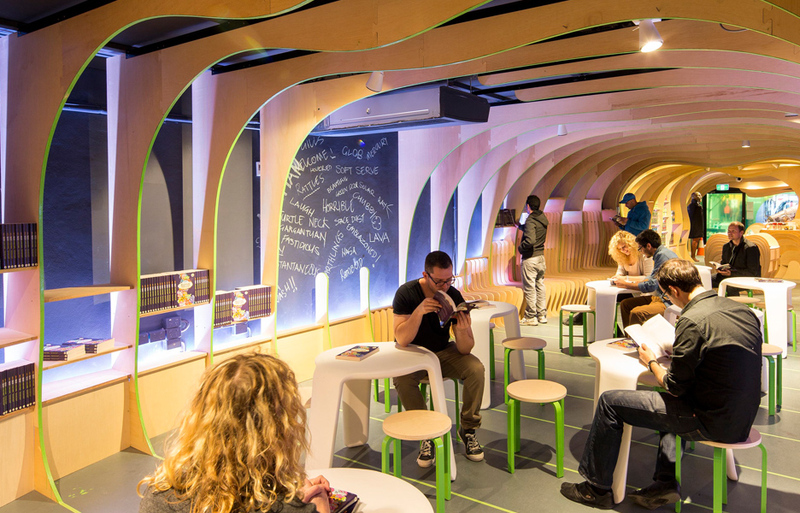 The design – a fusion of whale, rocket and time tunnel – aims to awaken creativity in kids. An immersive space of 1068 CNC-cut oscillating plywood ribs is animated by red planet light and sound projections. 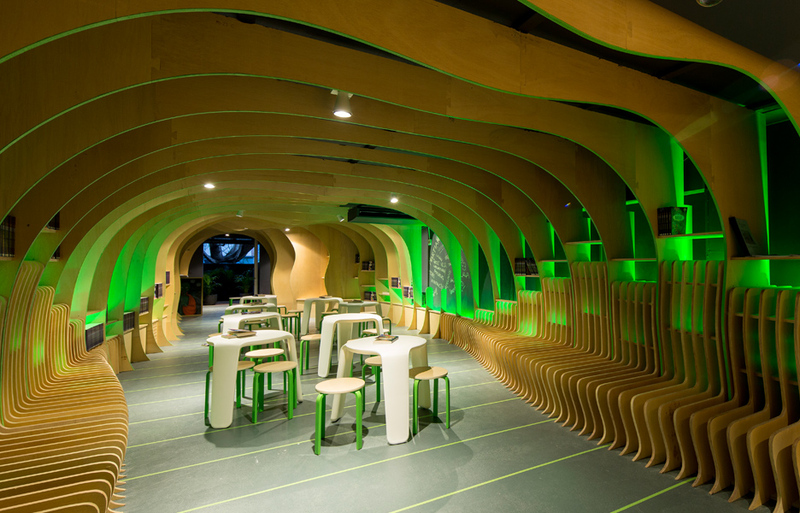 Edged with Martian green, the curvy plywood flows seamlessly so that space, structure and ornament become one.